An unusual and very exciting form of carbon - that can be created by drawing on paper - looks to hold the key to real-time, high throughput DNA sequencing, a technique that would revolutionise medical research and testing. The Australian researchers have shown that graphene - a one-atom thick sheet of hexagonally arranged carbon, shaped like chicken wire - can detect the four nucleobases that make up DNA (cytosine, guanine, adenine and thymine). 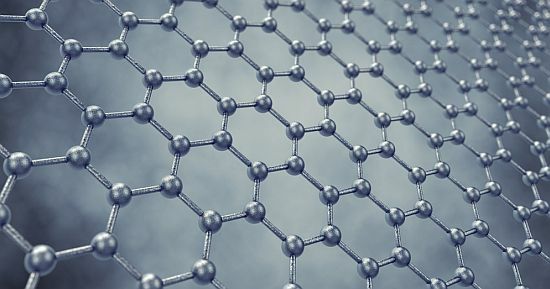 Graphene is the world’s first two-dimensional material, with each sheet composed of single layers of carbon. When these are stacked together they make graphite, which is found in drawing pencils. When drawing with a pencil, pieces of graphite peel off, sometimes leaving behind a layer that is one single atom thick, which is graphene. Although graphene had been studied as a theoretical structure for some decades, it wasn’t officially discovered until 2004, when Andre Geim and Konstantin Novoselov reported they had prepared stable graphene in sufficient quantities to perform analytical measurements. Their novel preparation method involved using adhesive tape to separate sections of graphite into thinner and thinner layers, which they then transferred to silicon wafers. For their efforts, Geim and Novoselov were awarded the Nobel Prize in Physics 2010.